Expertly produced in our facility with superior quality, turn-around and cost. S & H Rubber is a world-class, versatile supplier of custom molded and rubber extrusion products. Among our high-quality products and rubber extrusions are, airplane seals, bellows, bushings and molded gaskets. Our products are produced in our tried and true facilities in Fullerton, CA, spread over 10,000 square feet of manufacturing space. Starting out as a small company in 1967, we have expanded our capabilities considerably. We pride ourselves on our ability to meet the needs of all our customers, old and new. It is in line with this philosophy that we work so hard to make sure our customers are happy with our products as much as with our service. Over the forty years we have been in business, the S & H brand has become known for its superior quality, quick turnaround, and competitive pricing. Standard Dimensional Tolerance Table - Molded Rubber Products Drawing Designation "A1" High Precision. Fill out our RFQ form to recieve assistance from our sales engineers. Download Our Quality Clauses in PDF. 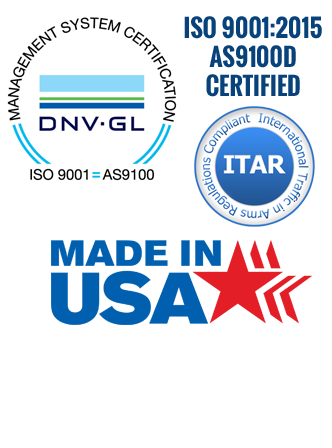 S&H Rubber is an ISO 9001:2015 and AS9100D certified. 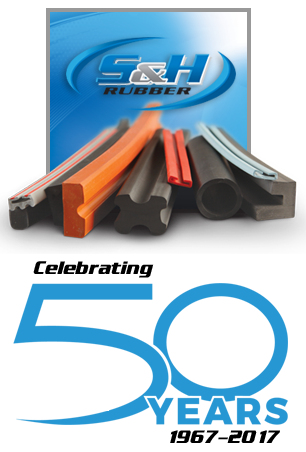 S & H Rubber is a world-class, versatile supplier of custom molded and rubber extrusion products.